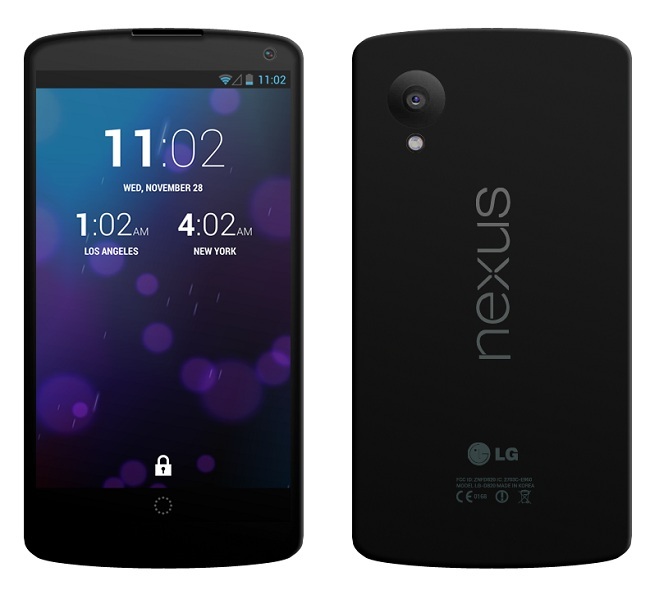 It is high time for Google to officially announce the Nexus 5 because by now everyone knows that it exists! It all started from press render leaks to even leaving the device in a bar. Google also listed the product in the Play Store but brought it down immediately but that didn’t stop crawlers finding it out. 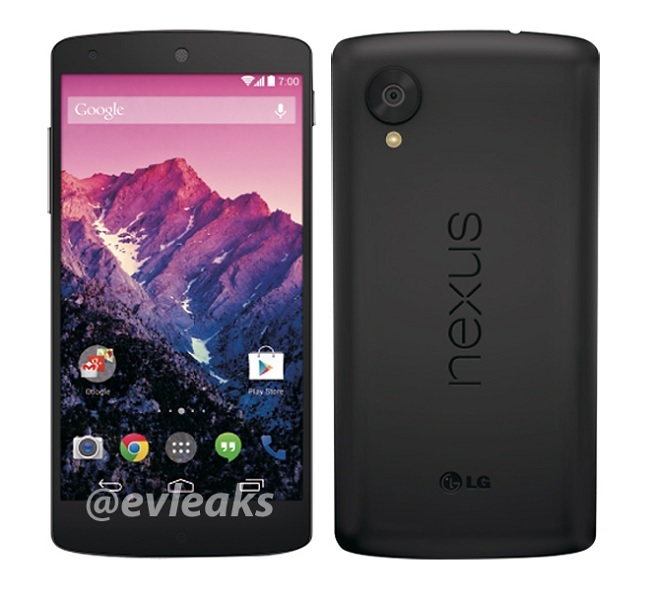 @evleaks has leaked out an unofficial press render of the Google Nexus 5 and the device looks gorgeous. 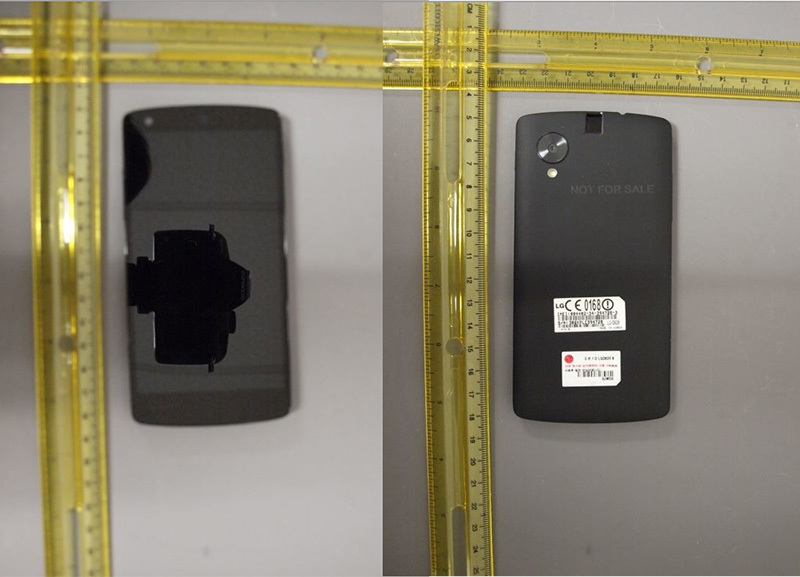 Although the rear of the previous Nexus 4 was classy, this time the rear end seems to match the material that has been used in the new Nexus 7. The handset will most likely feature a 5-inch display with a resolution of 1920 x 1080 pixels and would be armed with a Snapdragon 800 processor clocked at 2.3 GHz. Other specs include a 8MP Camera with OIC (Optical Image Stabilization), a 1.3 MP front facing camera and of course the best part, would run on Android 4.4 Kitkat. According to the rumors earlier this month, we expected the device to see the daylight on October 14th which never occurred while another recent rumor pointed towards October 31st for the announcement. Few days left to see if it comes true. There is no point of holding the device for long. Just release it Google! Here are some of the previous leaked pictures in case you have missed it.